When you buy your first Lexus, you’re hooked. There’s just something about the sheer comfort matched with smooth drivability and quality safety standards that makes you realize that your Lexus truly is the whole package. Whether you drive the amazing Lexus ES300, the sporty Lexus LX SUV, the free-flying Lexus IS C or the powerful Lexus LFA, your vehicle is one that you don’t want just anyone to work on. You need specially trained Lexus repair experts that fully understand the inner workings of your luxury vehicle, and who provide the same luxury services to make your auto repair experience unmatchable. Enter, Dave’s Ultimate Automotive. 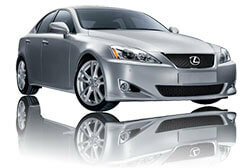 We’re the Lexus Repair experts in Austin & Pflugerville, TX. With more than 17 years of automotive excellence under our belts, the experienced team at Dave’s Ultimate Automotive can properly take care of all your Lexus service and repair needs. Our mechanics are specially trained, ASE Certified Technicians and have the necessary tools, diagnostic equipment and parts to work on all years and models of Lexus vehicles. Family-run and focused on you. Dave’s Ultimate Automotive is a family owned and operated Lexus repair facility in Austin and Pflugerville, TX. For us, keeping your Lexus running well is about more than just fixing a car. It’s about providing safe and reliable transportation that you and your family rely on! We’re dedicated to keeping Austin drivers safe on the road, and that starts by performing the necessary repairs and vehicle maintenance services that your Lexus needs to remain the safe and quality vehicle that it is. Our friendly team is always happy to answer your Lexus service or repair questions to make sure you are completely comfortable with the services we provide. We also offer free Wi-Fi Internet in our comfortable waiting area, and a free local shuttle service to get you where you need to go, making us the perfect alternative to the Lexus dealership! We guarantee our Lexus repair services with a nationwide warranty. All of our Lexus services are guaranteed by a industry-leading 24 month/24,000 mile nationwide warranty. When you bring your vehicle to Dave’s Ultimate Automotive you can be confident that it is truly in the best hands. We also are happy to provide free vehicle safety checks on your car’s air conditioning, brake system, alignment and check engine light, further helping you and your family stay safe on the road! Proud to stand behind the Lexus repair services we provide, at Dave’s Ultimate Automotive your complete satisfaction is always guaranteed. We’re dedicated to making your auto repair experience easier by providing free vehicle safety checks on your car’s air conditioning, brake system, alignment and check engine light. Plus, as a AAA Approved automotive repair shop and car inspection station in Austin and Pflugerville, you know that we truly do make sure your Lexus car, SUV or hybrid is running its very best. We invite you to give us a call, easily schedule your auto service online, or stop by any of our 3 convenient locations, one in North Austin, South Austin and Pflugerville, today! We’ll show you how easy taking care of your automobile can be when you bring it to the best Lexus repair shop in Austin.